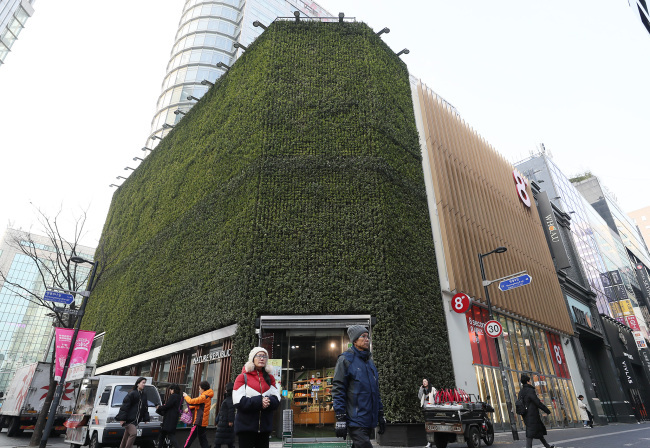 The Ministry of Land, Infrastructure and Transport has revealed Tuesday that the most expensive real estate in South Korea is the Nature Republic cosmetics store located in Myeong-dong, Seoul, valued at 183 million won ($163,000) per square meter. This is the 16th consecutive year it has held the position, dating to 2004. The second and third most expensive lots were also located in the Myeong-dong vicinity: the Woori Bank headquarters (177.5 million won per square meter) and Uniqlo’s Chungmuro branch (87.2 million won per square meter).